Home / Automotive / Cars / New 2018 Mercedes A-class – A Celebration Of Tech Wizardry! 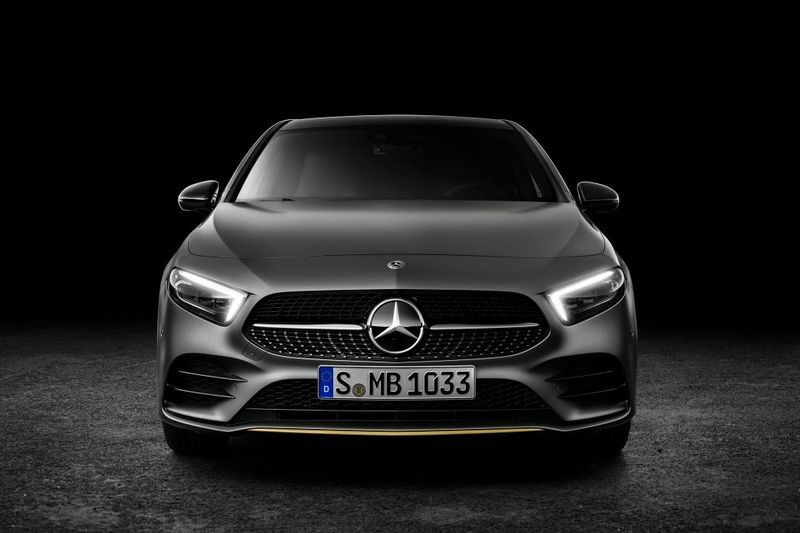 The all-new Mercedes A-Class will be priced from £25,800 in the UK (around R550,000), the German brand has confirmed, after the hatchback made its public debut at the Geneva Motor Show recently. On sale now, the first UK customers will take delivery in May, with the range initially topping out at £30,240. Designed as a rival to the Audi A3, BMW 1 Series and Volkswagen Golf, Mercedes says the 2018 A-Class is a ‘new interpretation’ of the existing design, and a first look at the new car in the metal confirms its subtle evolution from the outgoing model. Initially, buyers will have the choice between one diesel and two petrol engines. The 116bhp 1.5-litre diesel, badged A 180d, will be the most efficient at launch promising 4.1 Litres/100km. Mercedes claims it can hit 0-100km in 10.5 seconds. The two petrol options include the 161bhp 1.4-litre turbo, badged A 200, and 222bhp 2.0-litre turbo, badged A 250. Three trim levels will also be offered to buyers: SE, Sport and AMG. Standard kit across the lineup includes alloy wheels, DAB radio, leather and fabric upholstery, Active Lane Keeping Assist, Keyless-Go starting function and air conditioning. If you want a revolution, rather than evolution, then look inside. The ground-breaking design (which was first seen last year) features a pair of free-standing instrument panels and turbine-style air vents, with ambient lighting used to highlight the separate sections of the dashboard. It doesn’t just look different; it works in a very different way, too, using the Mercedes-Benz User Experience system that we first saw at CES in January. Not only can this learn through artificial intelligence, it can be personalised and adapted to each user. That means the digital screens can be set up to display the driver’s preferred combination of information in the way they want. On top of that, the system learns if you phone the same people or tune to certain radio stations at particular times of day; and, if you do, the system then suggests these to the driver at the appropriate moment. Similarly, if the driver sets out to what the system recognises as a regular destination, navigation will automatically start in the background; and, once the driver confirms the destination, all the information about the route, such as congestion and any other problems, will already be available. The system also gives access to the ever-expanding Mercedes ‘me connect’ services. These include everything from extra navigation features to an in-car office and the ability to book your car in for a service remotely. Drivers can control the new A-Class infotainment system in several ways – by voice control, the touchscreen, a touchpad on the centre console or touch-sensitive panels on the steering wheel. The standard system has a pair of 7-inch screens, the one in centre of the car being a touchscreen. Buyers then have the option of upgrading, by having either a 10.25-inch touchscreen or two 10.25-inch screens. A head-up display can also be fitted as a further option.